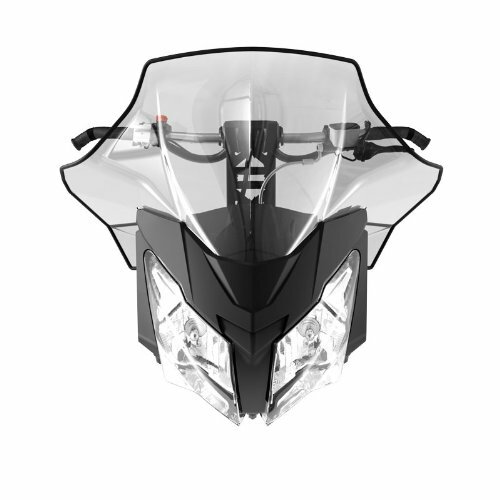 Ski-Doo 860200602 Sport Performance Flared High Windshield by Ski-Doo at Chosen Hubs. MPN: 860200602. Hurry! Limited time offer. Offer valid only while supplies last. 16 inch (41 cm) in length. One-piece with integrated deflectors. Top flare maximizes wind protection and redirects snow in deep powder conditions. 16 inch (41 cm) in length. One-piece with integrated deflectors. Top flare maximizes wind protection and redirects snow in deep powder conditions. Fits with stock windshield support. Arctic Cat Wildcat TRAIL / Sport - Full Folding Scratch Resistant UTV Windshield. The Ultimate in Side By Side Versatility!Premium Polycarbonate w/ Hard CoatMade in America! !